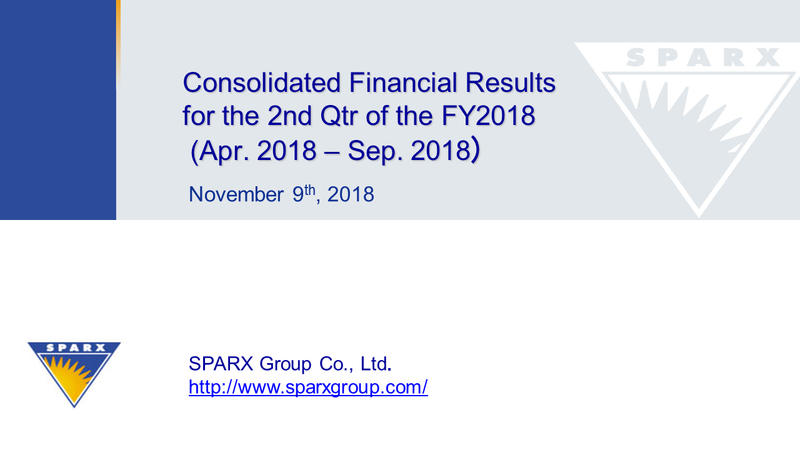 SPARX Group's earnings for the period of April–June 2018 saw increased revenue and profits. In its main Japanese equity investment strategy, the balance of mutual funds with higher management fee rates continues to grow, despite a large redemption from an overseas institutional investor. Consequently, operating profit was up by 10% year over year, reaching 880 million yen. investment securities as extraordinary profit, saw 60% growth year over year to reach 730 million yen. 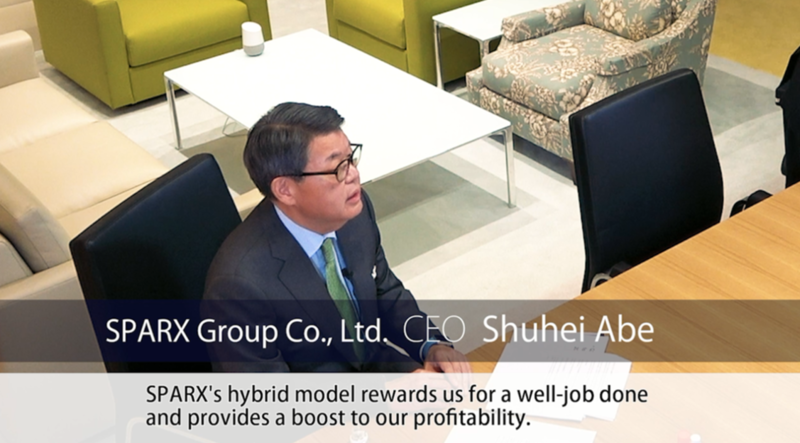 As a result of our continued proper control of increases in fixed costs that come with business expansion, our base revenue, which serves as an index for our revenue power to build a sustainable and stable foundation for business, saw a 22% increase year over year, bringing it to 860 million yen. As of June 30, assets under management (AUM) were 1.1223 trillion yen, nearly the same figure as on March 31, 2018. In the Japanese equity investment strategy, the major redemption from the overseas institutional investor led to falling balances in mid and small-cap strategy and clean tech strategy. However, the balances for long-short strategy and Focus All Cap strategy grew. OneAsia strategy which means the company's investments in Asian stocks have increased by 10 billion yen. This is not due to inflows of outside funds, but to movement of capital between funds within the group. The balances for other investment strategies remained almost the same for the past three months. SPARX has four key things to share about the recent progress of our business. The first is our Japanese equity investment strategy. As we have talked already, we had the large redemption from the overseas institutional investor. A certain level of additional redemption is expected for this fiscal year. However, in addition to enhancing stronger sales of our public mutual funds for investors in Japan already on sale through Daiwa Securities, one major bank has also informally decided to carry our public mutual funds. Much as in April to June, we are aiming to increase our AUM to make up for the upcoming redemption. The second is our OneAsia strategy. 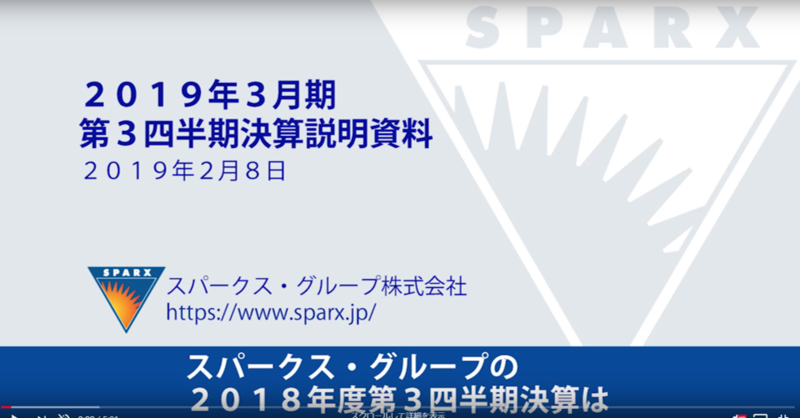 SPARX plans to begin offering a new public mutual fund as part of our OneAsia strategy, to be sold through a Japanese securities company. This new mutual fund will serve as a lever we can use to grow our assets under management and bring our OneAsia strategy into full swing. The third point is the renewable energy power generation facilities investment business that is part of real asset investment strategy. July was the deadline for subscriptions to the Private Brown Fund, which invests in operational renewable energy facilities. The Fund launched after collecting 20 billion yen last autumn, but it closed with a total of about 47 billion yen of capital from several Japanese institutional investors. The IRR target is higher than 5%. SPARX believes there is significant demand for this Fund from institutional investors that are struggling to operate on low interest rate. 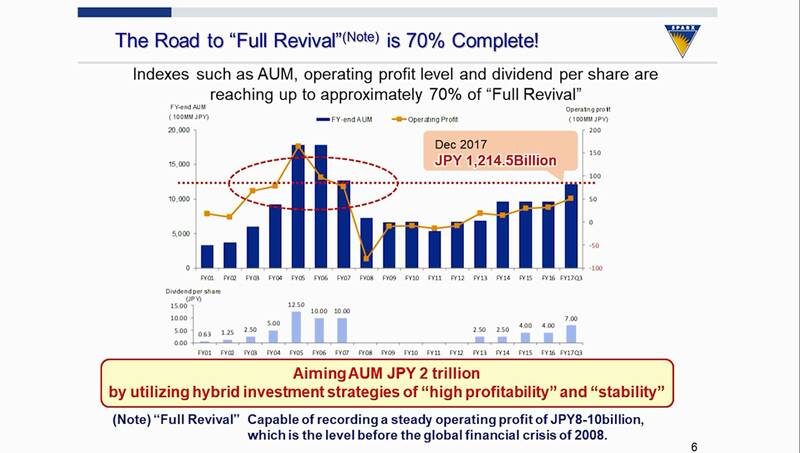 After acquiring additional facilities by 2020, the Brown Fund should ultimately grow to an overall size of roughly 150 billion yen based on total acquired asset size. The fourth point is the Mirai Creation Investment Strategy. The Mirai Creation Fund I (one) launched in November 2015, targeting startup companies around the world involved in the three fields of intelligent technology, such as AI, robotics, and technologies for a hydrogen-powered society. As of June 30, this Fund has invested in 47 firms, and it appears that it will reach its full investment capacity by the middle of this fiscal year. As there were so many promising candidates that we were unable to extend funding through the Fund I, we have established the Mirai Creation Fund II (two), adding two new fields, electrification and new materials, to the existing three fields to broaden the fund's scope. The Fund II is scheduled to launch in August, with 14.3 billion yen in contributions from Toyota Motor Corporation and Sumitomo Mitsui Banking Corporation. 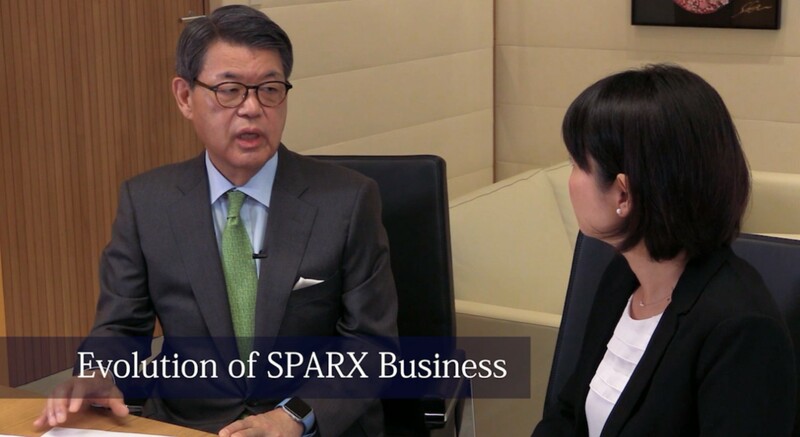 SPARX ultimately aims for the fund to reach a scale of 50 billion yen after raising additional capital through March 2019. 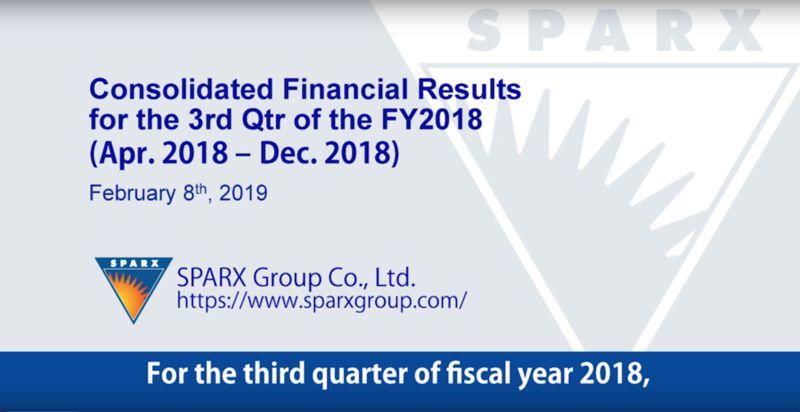 This ends the SPARX Group earnings overview for the period of April-June and the description of four upcoming points of business.